Seventy years is a long time in the HVAC/R wholesale business. 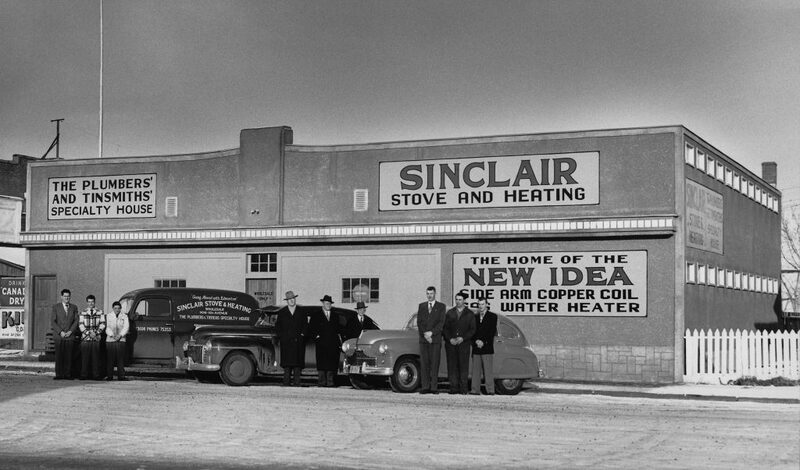 When Dan Sorochan joined Sinclair Stove & Heating in 1947 at age 19 as a general-purpose employee, it was located in owner Walter Sinclair’s two-car garage in Edmonton. Sinclair had started the business just a year earlier. Dan worked hard and became an integral part of the company as it evolved. In 1953, Walter passed away and Dan was named general manager. Over the course of 70 years since Dan joined the company, it has expanded across Western Canada to the point where it now has 17 branches and 180 employees. And Dan, who is now 89, has decided it’s time to retire. He will be missed. “His thoughtful style of leadership cultivated a family atmosphere at work and demonstrated an obligation to service and excellence that customers could rely on,” remarked company president Paul K. Lachambre. “Dan’s commitment to inventory of equipment and parts and the hiring of knowledgeable staff won loyalty and respect from contractors, employees and suppliers,” added Bruce Morton, ICP Canada western regional business manager. The company’s relationship with ICP goes back to the 70s. From those early years, Dan became co-owner of the company with Walter’s son, Bill Sinclair. In 1957 Sinclair Stove & Supply became Sinclair Supply Limited. Business was growing and the company was expanding. It moved to a new 12,000 sq. ft. warehouse and office on 119 Street in Edmonton. A branch office and warehouse was opened in Calgary to serve Southern Alberta. In 1968, the company opened another branch on Edmonton’s South Side and added another 6,000 sq. ft. to the main Edmonton location. Bill Sinclair retired in 1972 and Dan became the sole owner. In 1974 the company moved into manufacturing with the acquisition of the Belvent Manufacturing Ltd. franchise for Western Canada. The company, which is now employee owned, makes B-vent prefabricated chimneys. Growth continued and by the 1980s Sinclair Supply found itself cramped in its Edmonton headquarters and moved to larger premises on 120 Street in Edmonton. That decade also saw considerable expansion, with the establishment of branches in Red Deer, Alta., Regina and Saskatoon. Growth continued into the 1990s with new branches in Lethbridge, Alta. along with Surrey, B.C. and Victoria. The company also acquired Majestic Heating Products and amalgamated it into the South Edmonton branch with full sheet metal capabilities. The next decade saw the main Edmonton warehouse expanded to include a sheet metal custom fabrication and manufacturing facility. More new branches followed: Fort McMurray and Grande Prairie, Alta., Prince George, Terrace, Nanaimo, Kelowna and Kamloops, B.C. and Winnipeg. “Whether the economy was good or bad, Sinclair continued to invest in its business with acquisitions and the opening of new branches,” noted Morton. As the rapid and continuous expansion of Sinclair Supply illustrates, Dan has been a very busy man. But he did find time to raise a family and today has three children and five grandchildren. And business didn’t keep him from enjoying a bit of downtime in his favorite hobby – sailing. For 30 years he kept a sailboat on the West Coast, taking family vacations there and abroad, often accompanied by one of his dogs, which were also regular visitors to the Sinclair Supply office. He was a founding member of the Wabamun Sailing Club at Lake Wabamun, west of Edmonton, in 1960. The Danny Sorochan Junior Sailing Fund, to train young sailors, was started in 1990. He also enjoyed hiking, often with his daughters, in B.C. and Europe. Dan started at Sinclair Stove & Heating in 1947 at age 19. In this historic photo, Dan is at far left and Bill Sinclair is third from right. Dan is a strong believer in giving back, both to his community and to the industry. In 2006, on the 60th anniversary of Sinclair Supply, the company donated $100,000 towards the development of HVAC/R programs at the Northern Alberta Institute of Technology (NAIT) in Edmonton. He has also contributed to scholarships at NAIT and the Southern Alberta Institute of Technology (SAIT) in Calgary, as well as supporting the Sinclair Supply Lab at SAIT. He has also supported many charities for things like children’s hospitals, youth groups, wildlife conservation, women’s groups, etc. Sinclair Supply made a $10,000 donation to the Red Cross to support their efforts in the wildfires at Fort McMurray in May, 2016. Employees and customers will miss Dan’s steady hand on the helm at Sinclair Supply, but in reality little will change going forward. There has been no change in ownership. One of Dan’s strengths is that he is a good judge of people and has put a good team in place. Milan Tuba has been appointed CEO and Lachambre was named president. Sinclair Supply will carry on, without interruption, in the same manner it has over the past 70 years, remarked Lachambre.